Young Earther Christians, what's your scientific proof the earth is young? The bible doesn't count, as this issue requires real hard science to prove any conclusion. I'm not a young earther, but there is some doubt concerning dating methods. For example, the speed of light probably is not constant, as claimed by most. If it is slowing down, then that throws a wrench in a great many things. The earth was created mature. Have you ever seen pictures of the spacecraft that landed on the moon? The poor scientists from NASA thought that the moon dust would be about 20 feet deep, so they designed the landing pads to be much larger than they needed to be. The vids provide some. For more proof, go to a website like www.apologeticspress.org. Here's one I came up with myself. If you like math and science like me, you can easily prove to yourself there is absolutely no way humans could have been around as long as athee-evos claim they have. So let’s have some fun. For those unfamiliar with growth rate (i), let’s talk a little bit more about it to see how it works. Take a population of 100 that after a year grew to 101, that would be a yearly growth rate of 1 percent (i = 1/100 = .01). Or let’s take a population of 1000 that grew to 1015 in one year, that would be a yearly growth rate of 1.5 percent (i = 15/1000 = .015). When you consider earth’s land surface area is just 1.6 x 10^15 square feet, even using the most conservative assumptions and numbers available, the earth itself could not hold 2.4 x 10^19 people. Obviously something is amiss. Either mainstream scientists’ dating techniques are wildly off or the more simpler explanation is that human beings have not been around near as long as some speculate. If you plug in a more reasonable number for the growth rate (e.g. 0.46%), numbers today coinciding with a population of eight about 4,500 years ago make a whole lot more sense --and coincide with the biblical model. Not true. Objective science validates the Bible which is the ONLY record of the beginning. Man's guesses just don't get it and besides, none of them agree with nature. Nowhere does the Bible say that the Earth is only 6,000 years old. 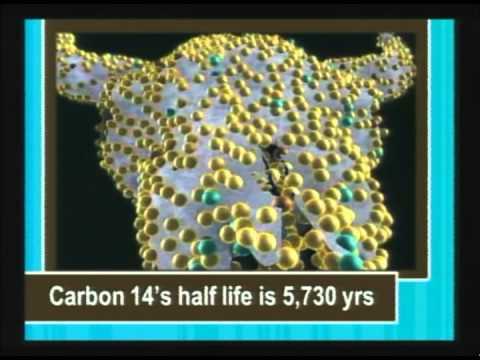 What it DOES say, is that humans have only been on the planet for a little over 6,000 years. BIG difference. . It is as the scientists say...4.5 billion years old. It is man on the earth whose history is short...in comparison. There is so much water that is sealed up in the mantle that if it was released on the surface it would cover the highest mountain like the Bible says in Genesis! What is the Sufi understanding of homosexuality? Would Sufi Orders accept a morally decent homosexual man? Is the phrase ‘by the devil’ the same as the phrases ‘by the angel’ or ‘by god’? A Promise From The Hebrew God, Earth Shall Belong To The Jews, Is It Worth Waiting For?, The Promise,? Are you stuck in your ways? Are you aware of the wrong you are doing yet ignore the elephant in the room all the time?